Often life has a way of throwing change at you. Unexpected things can happen. Some of these changes involve marriage, children, divorce, blended families and various other circumstances. Although not everything can be anticipated, it is possible to protect your well-being and assets while providing for loved ones by establishing an estate plan. There are many people who do not feel an estate plan is necessary, especially the unmarried or those without children or significant assets. This is incorrect thinking. Regardless of the degree of wealth or the situation, everyone can benefit from an estate plan. An estate plan that is catered to your specific needs can help prepare you in the event you become physically incapacitated or need to distribute your assets at death. Estate planning applies to families that own real estate. It also applies to families with members who have special needs or children of any age. Last Will and Testament (Will) decides the manner in which your assets will be distributed when you pass on. If you have minor children, it establishes who you want as guardians to care for them. It also designates the representative/executor who will carry out your instructions. Durable Power of Attorney declares who will be in charge of financial decisions when you aren’t able to do so, whether this is a temporary or permanent situation. Advance Directive for Healthcare (Healthcare Proxy). This designates a person to make medical decisions for you in the event of temporary or permanent incapacity. Without these tools in place the state in which you live will make the decisions for you. The question everyone should ask is: Do I want the state to decide what happens to my children, my assets, and my health, or do I want to maintain my own control? Please see the section on our website about Long Term Care Planning and Elder Asset Protection for more information on this topic. Some families have situations that require additional flexibility. One example of this is the establishment of a trust for individuals whose resources make them ineligible for Medicaid. When the right type of trust is in place for enough time, assets can be protected from long term care nursing home spend down requirements. 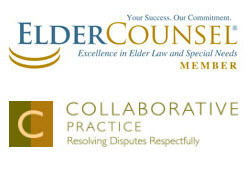 Please see the section on our website about Long Term Care Planning and Elder Asset Protection for more information on this topic. If you have questions about estate planning in Ohio, call our office today at 513-771-2444 or email us to set up a consultation.